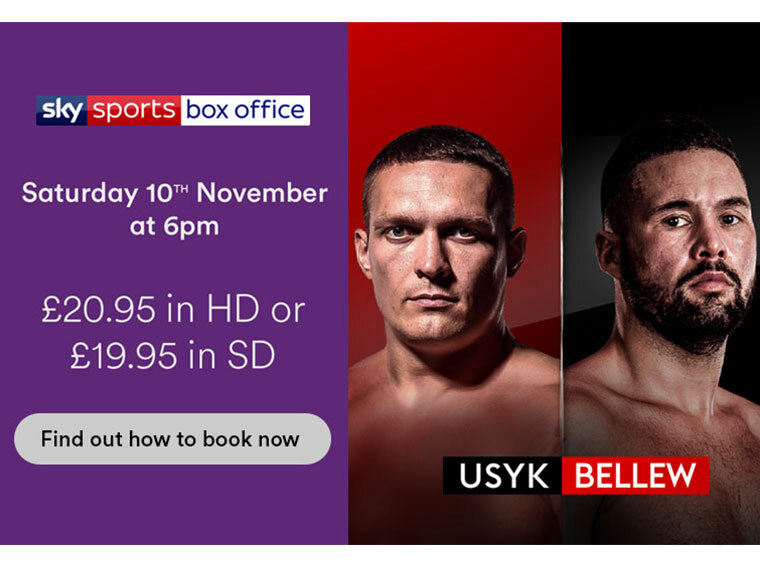 Tony Bellew makes his return to cruiserweight competition for the first time in more than two years as he takes on the unbeaten Oleksandr Usyk in Manchester on Saturday 10 November. Bellew, a former WBC Cruiserweight champion when he beat Ilunga Makubu in 2016, stepped up to heavyweight level to take on and beat David Haye twice in his last two bouts. The Liverpudlian boxer and Everton fan has thrown himself into what is arguably one of the toughest fights of his career when he steps in to the ring with Ukranian Uysk, who has unified the cruiserweight division. Usyk holds the WBA (Super), WBC, IBF, WBO and The Ring cruiserweight titles and is the first boxer in history to hold all four major world championships at cruiserweight. Uysk has won all 15 of his professional fights and will put all of his belts on the line against Bellew at the Manchester Arena. Elsewhere, one of the highlight fights on the undercard will see Anthony Crolla go up against Daud Yordan in an eliminator for the WBA World Lightweight Title. Virgin Media customers can order using their TV remote by going to Home - On Demand - Live Events. To view your booking, once purchased, go to On Demand - Live Events.